To enjoy The Legacy of Eden you need a certain amount of morbid curiosity. Even when an entire family falls into ruins, you need to continue reading to see how far the disease has spread. If you don’t have this curiosity, you probably won’t be able to finish this book. When Meredith receives a letter that contains the news of her deceased cousin, she wishes that she never would have opened it. All of the memories that she has tried to stay away from come back. She will have to relive them all until she can do what she has to… Face her fears and return to her childhood home. 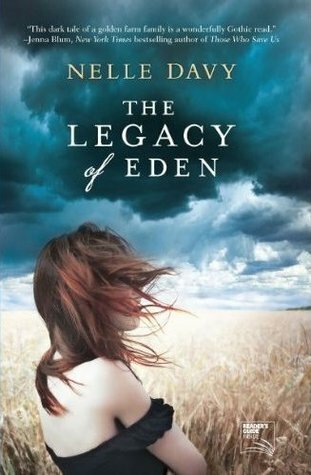 Basically The Legacy of Eden is a recount of the lives of the members of the Hathaway family throughout the generations. There are tiny flashes towards the present, where Meredith is dealing with the ghosts of her past, but mostly the story is being told as a family history. Because of these two different times (present and past), it keeps you invested. A lot of crucial plot points are kept hidden as long as possible. There are barely any flash-forwards, which I liked. Because the history is chronologically written, this is a fairly easy story to follow. It starts with Meredith’s grandparents meeting and from there slowly works down until Meredith’s own youth. There was barely any confusion with where in the history we were. Usually I get lost after a while with this kind of book, but I was glad this was not the case with The Legacy of Eden. I really enjoyed the characters in the book. They all were so different, yet share some of the flaws that run throughout the family. From the manipulative grandmother and the drunk grandfather, to the abusive uncle and even worse cousin. Every single person in the story has his or her problems, by their own fault or more often by someone else’s making. It’s very beautifully written, but it’s not bogged down by all these heavy descriptions. For me it was perfect; enough words to paint the picture and the ambiance, but not too many to make it boring. Reading The Legacy of Eden is a little bit like watching a train crash in slow-motion on TV. 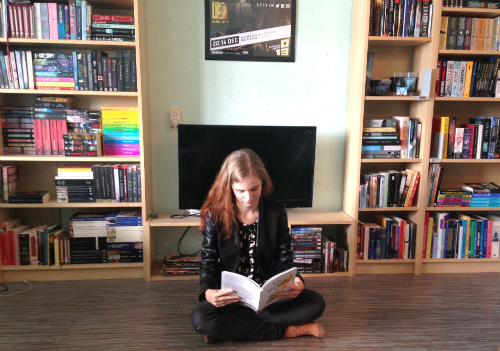 Even though it contains quite some heavy subjects, it was never really depressing for me. It’s not a very happy read but I have read way worse. After I finished it, I felt content. Not excited, not sad, just content with how everything turned out. For generations, Aurelia was the crowning glory of more than three thousand acres of Iowa farmland and golden cornfields. The estate was a monument to matriarch Lavinia Hathaway’s dream to elevate the family name – no matter what relative or stranger she had to destroy in the process. It was a desperation that wrought the downfall of the Hathaways – and the once prosperous farm. Now the last inhabitant of the decaying old home has died – alone. None of the surviving members of the Hathaway family want anything to do with the farm, the land, or the memories. Especially Meredith Pincetti. Now living in New York City, for seventeen years Lavinia’s youngest grandchild has tried to forget everything about her family and her past. But with the receipt of a pleading letter, Meredith is again thrust into conflict with the legacy that destroyed her family’s once-great name. Back at Aurelia, Meredith must confront the rise and fall of the Hathaway family… and her own part in their mottled history.